Idea by Jia Zhen Tsai. 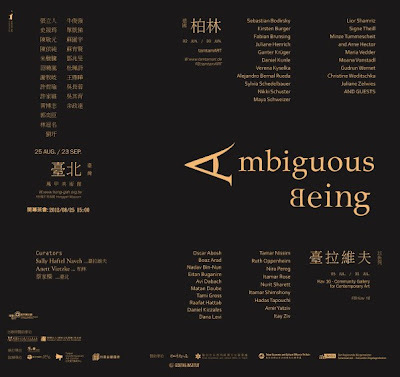 Curated by Jia Zhen Tsai (Taipei), Sally Haftel Naveh (Tel Aviv) and Anett Vietzke (Berlin). 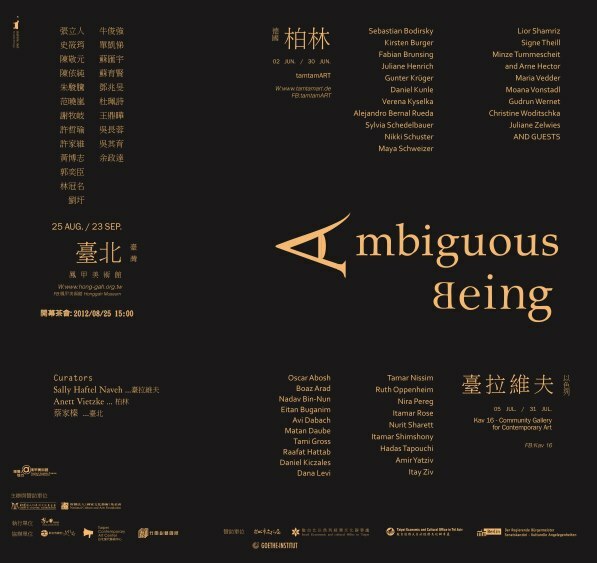 Supported by Chews Culture Foundation (Taiwan), National Culture and Art Foundation (Taiwan), Hong-Gah Museum (Taipei), Taipei Contemporary Art Center, Israel Economic and Cultural office in Taipei, Taipei Economic and Cultural Office in Tel Aviv, Goethe Institut Taipei and Senat Berlin/ Senatskanzlei für kulturelle Angelegenheiten amongst others.